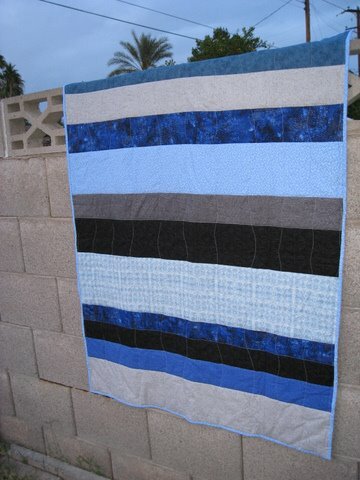 Months ago I started a quilt for my cousin, whose baby was due in February, with extra blue and gray strips that I didn’t end up using for another baby quilt. 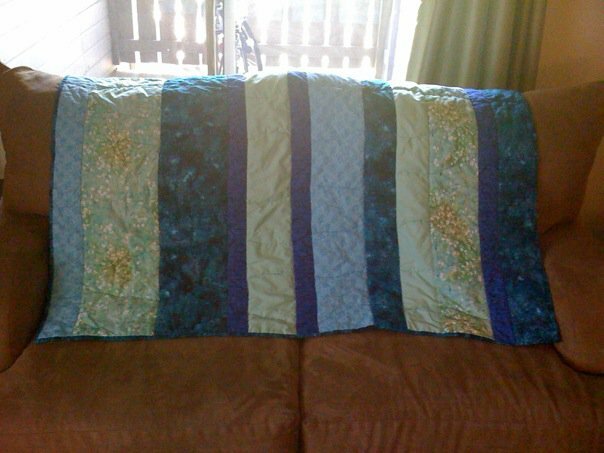 I had the top pieced, sandwiched, and quilted by the end of January. 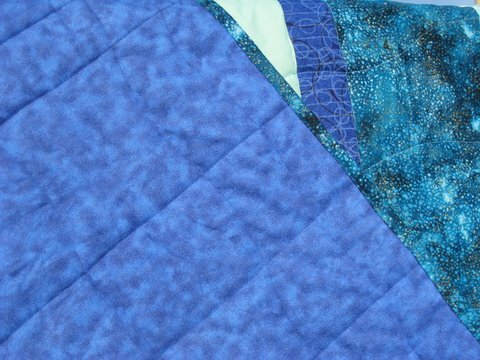 All it needed was a binding — the first time I was going to actually do a binding — and then it was February and I was working on the Organizing Junkie’s Challenge, and I realized that sewing and committing to the challenge at odds with one another. 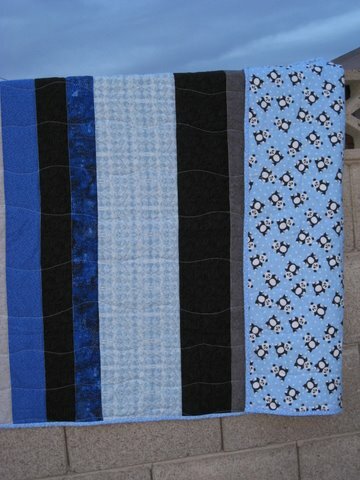 Baby Caiden was born on February 11, at which point the need for speed had passed and the quilt continued to sit for weeks. 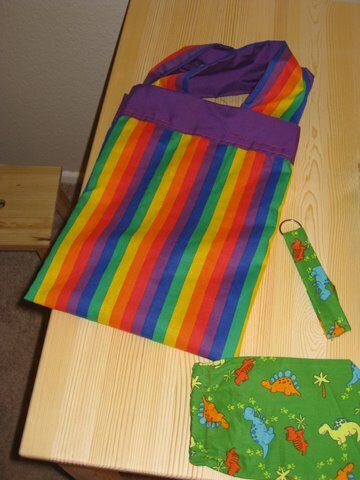 I added the binding a couple weeks ago and because I haven’t mailed it yet it’s making the move with me this weekend, and then, yes and then I will finally mail it, 2 1/2 months after the baby’s birth. I move into my new apartment on Saturday. 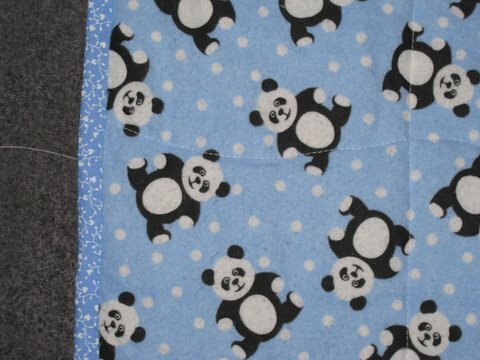 I wonder what I’ll use to hold up my quilts for pictures, this cement wall in my back yard has done a fine job for me. 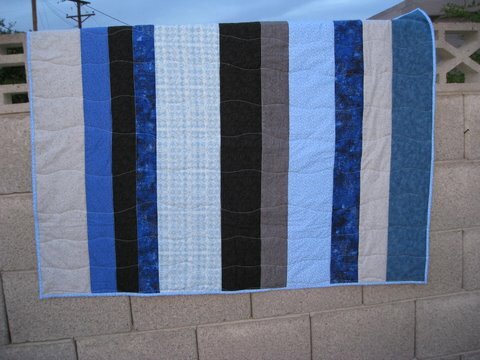 I’ll keep doing these quick and easy stripey quilts for awhile, I like them. April 30, 2010. 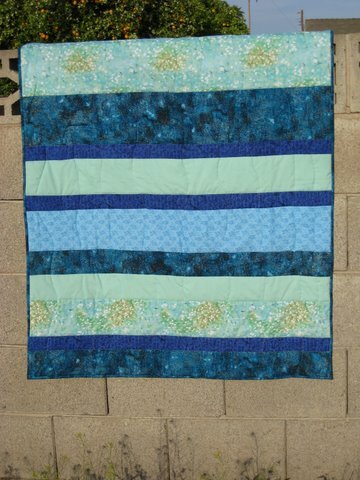 Tags: baby quilt, completed project, quilt, stripes. Pictures, Projects, Words. 1 comment. April 29, 2010. Pictures, Words. Leave a comment.